Oh My Dear God – Are You One of Those Single Tear People? Do you remember the first time that you saw someone shed a :’( ? My first memory of seeing a :’( running down a cheek was projected on screen in a darkened cinema, whilst sitting next to my mother, watching The Lion King not long after its theatrical release in 1994. At the base of an echoing canyon, a lion cub turns toward the audience, and a :’( cascades down his right cheek. This :’( is followed by others and over his shoulder the body of his father can be seen motionless. His tears are accompanied by his calls for help and the choral and orchestral soundtrack. In answer to the title question, everyone is a :’( person, or at least I bet from where you are standing, they look like they are. I can’t remember the last time that I actually shed a :’( but yesterday I did text someone a :’( . Throughout this essay I will trace the journey of the :’( , along my personal chronology of my experience of images of a :’( against its broader development, starting with Disney, followed by Hollywood films and mass media’s constructed personas and ending with the emergence of the emoji as a cultural phenomenon. The trajectory of the :’( more or less follows the four stages of Jean Baudrillard’s argument in Simulation and Simulacra (1981): from a faithful image copy, to a perverted unfaithful copy that hints at an obscure reality, to the image pretending to be a faithful copy without any reference to an original and then to the image being lost in a dispersive abyss of abstraction and simulation. However, in our hyper-contemporary situation I intend to show that there is now the potential that a ubiquitously recognized image has entered another level of signification, where the image, in our case the :’( , has the potential to mean, in a more fluid and malleable sense than before, a part of something, the whole of something, and everything in between, simultaneously. And now more than ever, it is up to us to pull the :’( from the dispersive abyss and to decide each and every time what that something might be. A :’( can be described as an image of a close-up of the face, typically cropped at the mid-forehead so that the eyes are located three quarters of the way up the image vertically and centred horizontally, with the face covering one third of the composition. The :’( can be shed from either eye with the tear itself generally paused mid-cascade, with the downward trail clearly visible. There is always that specific moment when you realize that you have shed a :’( . That one, specific, salty crystal droplet cascading down your cheek before all the others do. That tear that reifies everything that occurred before and also what will happen afterward. 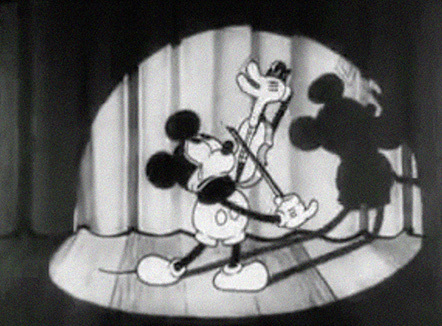 One of the first times Mickey Mouse cries is during a spotlit violin recital in a black and white short animation called Just Mickey (or Fiddlin’ Around) produced in 1930.1 Twice, as he bows that long single note during Johannes Brahms’s ‘Hungarian Dance no. 5,’ a :’( rolls down his cheek and falls to the floor. 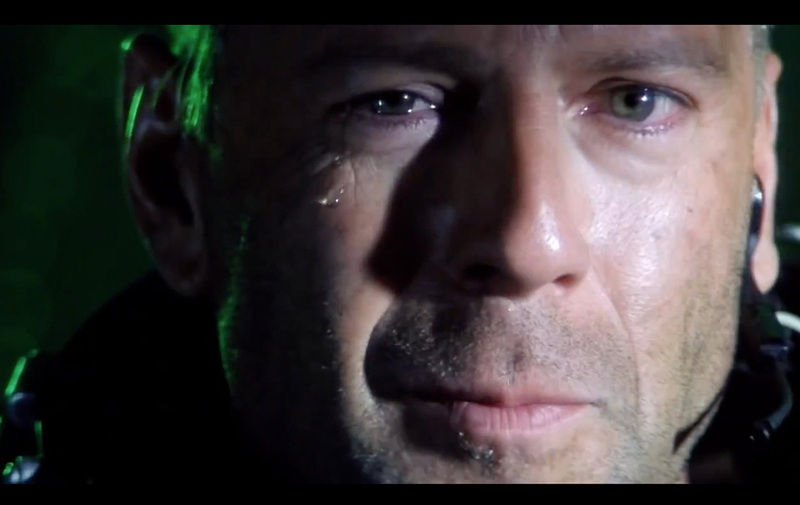 Subsequently, he becomes overwhelmed with emotion, and a flood of tears fall from his face. He has to leave the stage, but returns to finish with a dramatic, crowd-pleasing encore.2 Mickey’s :’( acts as a sign that there is more to come – specifically in this case, tears – and reveals a physicalized affective response to a stimulus. This :’( acts as a straight representation of the human emotive response and what we can learn is that Mickey has feelings too. What comes after, leaving the stage followed by a triumphant return, becomes a narrative element, often repeated, throughout the history of Disney animation, all triggered by a :’( . There are a lot of :’( in Disney. As with Mickey’s first tears they act as narrative indicators or visual signs of more to come. But rather than indicators of more tears, the :’( signal morphs into a visual indicator that a character is undergoing an unknown and larger, emotional transition. This earlier physical transition is illustrated unfiltered in The Ugly Duckling and Beauty and the Beast.3 4 In later iterations, this process of transition becomes less physical and more psychological as the broader narrative of the :’( evolves, to become a sign of the experience of emotion, or more exactly, the sign of feeling a feeling. Disney films are inherently educational and formative for children, who watch these films repeatedly and take them at face value.5 One of the base lessons that a majority of children’s animated films teach is the notion of death, and more specifically the notion of the traumatic loss of a parental figure.6 It is at the precise moment of the realization of this loss that the :’( is shed. The :’( acts as the visible material residue shed at the threshold of an emotional state change and, with the coupling of the traumatic loss, the :’( becomes the signal of a precognitive and unconscious occurrence. 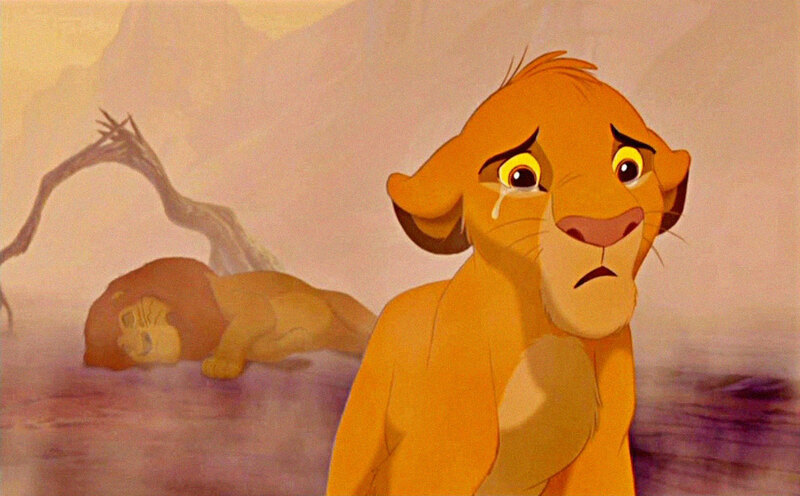 The Lion King,7 the first time I remember seeing a :’( shed, is the most poignant and complete example. After the tragic death of Mufasa at the hands of his brother and a rampant wildebeest stampede, Simba tries to find life in the limp lion carcass.8 Dejected, he turns away from the body and is overcome with the traumatic realization that everything will now be his,9 and sheds a :’( . He sheds this :’( not only because of the traumatic loss of his father but also because of his realization that something has changed, a change that, especially in North American cinema, must be addressed through triumphant catharsis. Therefore we are able to say that in Disney films a :’( is not the sign for a single event but rather the sign of both the realization of an unconscious transition and, simultaneously, an impending catharsis that will attempt to close the rupture that caused it. Young Simba, The Lion King, film still, directed by Roger Allers and Rob Minkoff, Walt Disney Pictures, Los Angeles, 1994. Both the transitional and impending secondary events signal a chasm that continually widens through the repeated animated abstraction of representing something that in itself, is inherently incapable of being encapsulated by an image. The :’( and its affective baggage is continually presented and utilized as an innocent attempt to tether a fabricated character narrative back to a human emotive response. However, its repetitional usage transforms it from a faithful representation or visual synonym into a sign of an obscured reality. Throughout the history of Disney films, the :’( is an abstracted and constructed visual metonym, where the :’( is employed as a surrogate representation of an emotional state change; a child audience with blind faith in the image would believe this attempt to tether to something, is real. With this formative exposure, the unquestioned image of a :’( remains ingrained as a faithful and affect-filled synonym copy rather than the perverted, abstracted and unfaithful metonym that it has become. Sign of Emotion or Hollywood’s Suture, it’s a Trope! 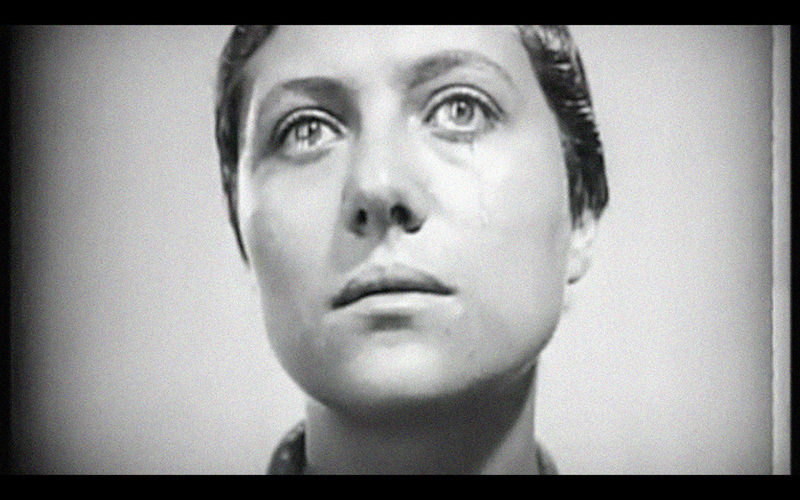 The earliest example of a :’( in cinema appears in Carl Theodor Dreyer’s 1928 silent film The Passion of Joan of Arc.10 It predates Mickey’s tearful moment by two years but follows the same trajectory as an indicator not only of more tears to follow, but also of the realization of an emotional rupture that must be addressed. It is the first celluloid copy of the :’( as a pictorial representation of an affective, human emotive response. Reneé Jeanne Falconetti, The Passion of Joan of Arc, film still, directed by Carl Theodor Dreyer, Société Générale des Films, Paris, 1927–1928. The silent film is almost exclusively composed of close-ups of faces, giving a detailed presentation of the trial of Joan of Arc, with biographical and contextual information presented as text plates. Within this structure and composition, each scene contains historic information and something that exceeds the boundaries of the frame, something that visually cannot be conveyed. Gilles Deleuze defines an ‘affection-image’ in Cinema 1: The Movement Image specifically as a close-up of the face.11 He describes The Passion of Joan of Arc as ‘the affective film par excellence,’ which we can appreciate through its almost exclusively close-up composition. This construction, especially when coupled with the later permutations of the :’( that we have seen in Disney films, is the composition that prevails in and is referenced throughout cinema. The image of the :’( in The Passion of Joan of Arc is the foundation of all :’( that have and will be shed and here the affection-image acts as a visual synonym. It is this image of a :’( as a visual synonym, which is utilized and copied in an attempt to impart both that the character has felt something beyond the pictorial representation of the frame and that we too as viewers should feel this something too. Importantly, as the origin, it retains (at least a part of) its signification and affective power, whereas each celluloid copy moves further away from the genuine emotional reaction and into the virtual. It is the shedding of Reneé Jeanne Falconetti’s :’( in The Passion of Joan of Arc that causes the dual chasm of the realization of passing a threshold and importantly the distancing abstraction of representation to open.12 From this moment on, Hollywood utilizes the :’( as its own medical suture, in an attempt to stitch together these ruptures. By employing the :’( Hollywood scrambles to retain Falconetti’s initial celluloid images’ affective power and present it repackaged in a myriad of permutations to the viewer,13 before it is lost in the dispersive abyss of abstraction and simulation. Each reiteration of Falconetti’s :’( blurs the absence of a reference to any profound reality and meaning of the :’( , dispersing any claim to originality of those that came before. This initially leaves the image of :’( to only pretend that it means something and increasingly negates even the need to pretend. The use of the :’( is meant to ensure that we ourselves realize that those represented on screen are, and more importantly, that they actually feel too, with the slow cascade of a :’( once again pulling at our heart strings. If only for a moment, and through familiarity, we see that they do what we do, and, because of the :’( , we are told that we should feel it too. Every celluloid copy imitates and helplessly gropes toward Falconetti’s :’( , and with every permutation, every :’( precedes the original, and as we have seen with Simba’s :’( , replaces any authority of the original. 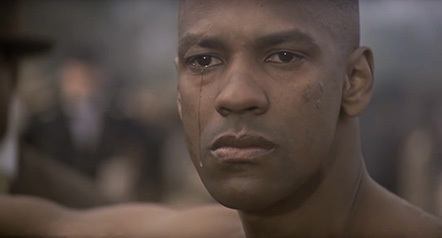 The zenith of the :’( use in Hollywood can be said to have come in the form of Denzel Washington as Private Trip in the the 1989 film Glory.14 15 Washington’s :’( was awarded an Oscar, with Hollywood congratulating itself for its fabricated ingenuity; in essence the :’( has become a self-sustaining trope. The :’( is therefore no longer a visual synonym or a sign of a genuine event, but a simulacrum of itself. The attempt to tether what is inherently a fabricated character narrative back to an actual event, instead, through myriad filmic examples, roots the image of a :’( as an abstracted and constructed representation and pushes it further and further into the virtual realm. Liv Tyler and Bruce Willis, film stills, Armageddon, directed by Michael Bay, Buena Vista Pictures, Los Angeles, 1998. 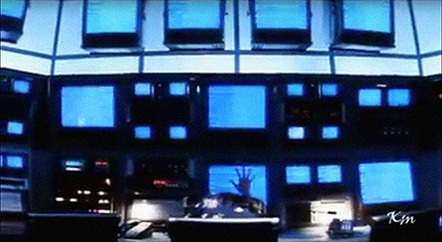 The video transmission of Willis’s face fills every single screen in mission control, screens which would normally be used to transfer information and data.17 Everybody in the room is immediately implicated as participants in the intimate moment between father and daughter via this multi-screen broadcast. This proliferation of Willis shedding a :’( openly presents the image as fabricated character in the narrative, implying that the supposed shared intimacy between it and the viewer is not an intimacy between it and you, but it and anyone. This thrusts the :’( further into a virtual realm, ignoring the viewer and leaving us aside to exist in the abyss of abstraction and simulacra. The suture that had attempted to tether the :’( to something real has been cut and instead it is released into its own virtual self-referential information system. The unrepresentable feeling of a feeling and the abstracted animated representation of the something that exceeds the boundaries of the frame, is set across a narrative analogy in the form of the void of space, which in itself becomes a tertiary representation and reference of the dual chasm that a :’( heralds. Via the interface of a satellite communication, their shared :’( is presented as the suture between them. A shared moment of intensity and intimacy tethered across the spatial void between two bodies. 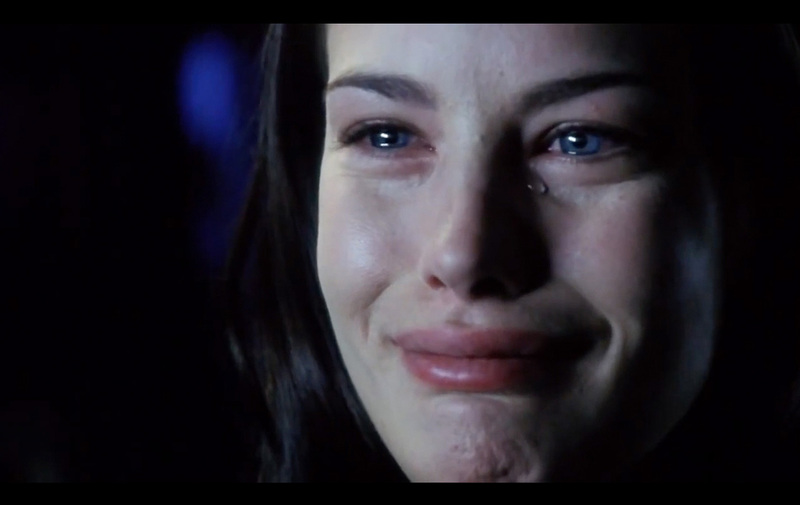 Armageddon completes the :’( transformation from a visual metonym to a broken visual reference. The :’( and its affective power is no longer felt between the narrative and the viewer, only observed. The image is broken. There is only simulation. We, as the viewers, are no longer invited to experience the :’( and the rupture of an actual event that it references. Rather we are presented with an image of the image that no longer signifies the feeling of a feeling that we too can feel; in short, the :’( no longer means. The image of the :’( has shed its signifying and affective power and oversentimentally ensues. After they both have shed a :’( , Tyler reaches out to physically connect with her character’s father but instead, she is confronted with a cold, white noise-filled screen. Her fingers linger on the glass screen, which hermetically seals any tangible connection with another person. We are watching the loss of a connection, the loss of any affective movement between two bodies, only for a flickering moment does a virtual simulation of a once actual event remain. There is nothing left beyond the boundaries of the frame, and the image of a :’( has become empty and is used and broadcast freely, without signification and only as information, by anyone and everyone, anywhere, on any glass screened device. The :’( can at this point be seen to have become totally meaningless and it is no longer genuine or real. The :’( is just a broken sign without any reference to an original and therefore it remains as a simulation of what it once was sutured to. The immediacy and urgency of how to represent the feeling of a feeling in an online, virtual, yet connected realm is what is at stake now in our hyper-contemporary situation. A mascara-filled :’( cascades down the cheek of Lauren Conrad, an American reality television personality from the MTV programme The Hills. Prior to airing, the production team manipulated the footage, slowing the time frame, a technique used in reality television and increasingly television in general to prolong the potential affect caused by the :’( in both the characters and the viewers. At its broadcast it remained an image which was still lost in its own fabrication, suffocating itself in the abyss of simulation. That is until her :’( became one of the most famous and reposted examples of the :’( online. Its ubiquitousness is rooted in the form of myriad continually repeating GIFs, less than a second in duration. There are a lot of :’( on the Internet, not fresh ones, but ones that have already been shed.18 The reemergence and recycling of previous examples of the :’( , are continually sourced from film, television, animation, and digitized printed material, and are then shared, reedited, reframed, compressed, downloaded, uploaded, annotated, abstracted, and clipped from their original contexts. This digital afterlife of :’( images often takes form as user-generated, never-ending, always looping GIFs and as static, low-quality JPEGs, more generally described as poor images.19 20 The employment by Internet users of these digital rehashes of :’( are used as simulated attempts, like the Disney films they once watched as children, to express oneself in the only way possible. The now ubiquitously recognizable image, and what the :’( supposedly refers to, is employed in exactly the same way as in the Hollywood films they watch. By embedding a digital copy of a :’( , Internet users are telling everyone, like like you and me, from their own fabricated online character narratives and comment threads, that they really feel things too. These fleeting attempts to connect and incite affect in both themselves and others, across the void of an online, virtual, yet connected realm, for all intents and purposes remain disembodied; these attempts act as redundant neon signs on storefronts or flea markets pointing you toward something that is no longer there. 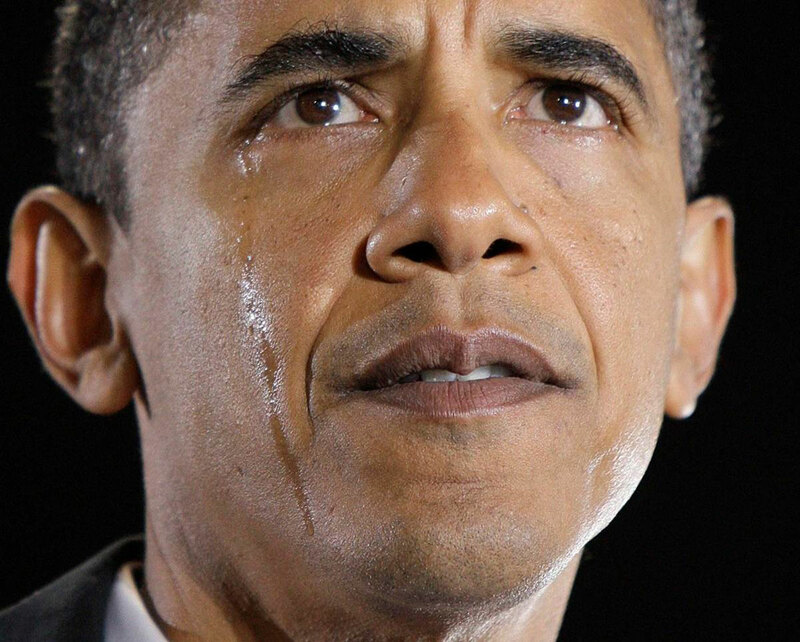 On 3 November 2008, then presidential nominee Senator Barack Obama shed a :’( while on stage at a campaign rally in Charlotte, North Carolina. The image that was broadcast around the world, via printed and online media and shared via peer to peer social media, is a cropped close-up image of the face, the eyes located three quarters of the way up the image, with a :’( caught mid-cascade down the cheek. His :’( was shed on the evening before Election Day and according to international media due to the strains of a presidential campaign but more importantly, the recent loss of his grandmother. With that the Disney-like emotional rupture present with a :’( was complete.21 In addition, the broadcast and shared image precisely follows the composition of Falconetti’s affective :’( , in all the various crops, qualities and iterations. Whether Obama’s :’( was utilized as an excellent piece of last minute spin or just a fortuitous and serendipitous incident, the following catharsis culminated in his triumphant election as the first black president of the United States of America. 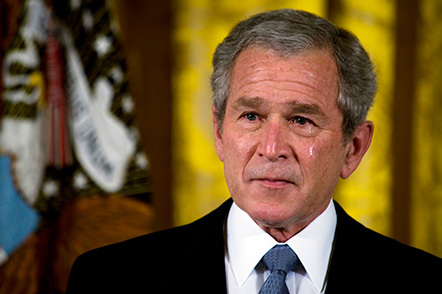 Even though Obama’s :’( was not the first or last time that a political figure or popular culture in general has employed the :’( , what we can see is the becoming of a :’( once again as a signifier of meaning, or rather the image of a :’( being capable of galvanizing meaning. Here the meaning may not necessarily be the meaning that was intended, or even a genuine meaning or emotive reaction itself, but the avatar-like utilization of :’( images in constructed narrative structures. What this illustrates is our entrance into a further stage of the image of a :’( : one informed by computing, avatars, constructed personas, celebrity and pluralistic ignorance, where there is meaning attached to the :’( , but the meaning is itself fluid and malleable. Each and every time it is redeployed, its meaning is reapplied, drawing upon everything and anything, from the actual event, to any specific example of a :’( , to the whole notion of a :’( each and every time that it is viewed, accessed and or activated. It is your/our choice to decide what it means. 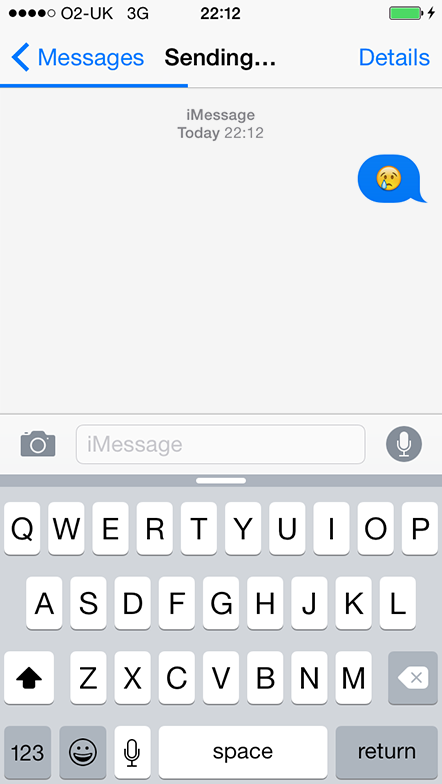 Crying Face, Apple iOS 9.1, released 27 October 2015. An image of a :’( may no longer be tethered to what was an originary original or even an original copy, as its meaning has now become fluid, dependent on each and every digital deployment. Similarly, rather than being untethered from any meaning, it is possible to see that there is indeed a return to a ubiquitous pictorial meaning and the potential of affect. The :’( is no longer directly related to a :’( being shed by someone somewhere, on the other side of a hermetically sealed glass screen, along with the affective baggage it once signified. 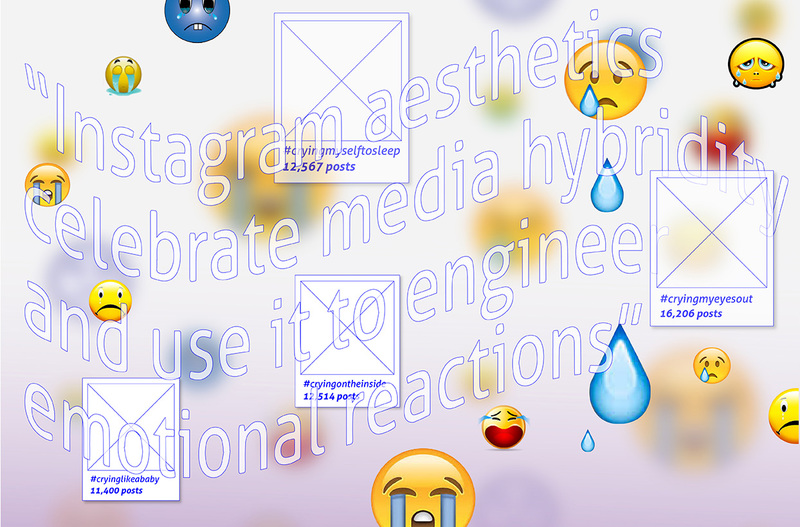 The :’( , through the coexistence of a polyphony of distinct variations, citations and meanings for each user and or viewer and for each time that it is deployed, viewed, accessed and or activated, has itself become a synecdoche and we are free to interpret it in any of the variations that it can be seen or felt. The :’( has been pulled out of the dispersive abyss of abstraction and simulation. The :’( meaning is no longer rigid, as it was in early cinematic examples, nor is it merely left as reflection of a proliferation of other :’( . Once bereft of meaning, the :’( now exists in a new synecdoche circulation, within a heteroglossia of fluid and malleable meaning that can be freely called upon, by both user and viewer, as a part or whole of the notion of a :’( . This allows the continual retethering and resuturing of :’( in every multiple and singularity. Once again the :’( can evoke the occurrence of something solely beyond the parameters of the presented frame, which has the potential for an affective movement between two (disem)bodies. This ubiquitously recognized and shared image, even if it is the bastardized and digitized offspring of an original, is affectively powerful once again. 1. Just Mickey, alternatively titled Fiddlin’ Around, directed by Walt Disney, Walt Disney Productions, Los Angeles, 1930. 2. See Just Mickey, www.youtube.com The first :’( occurs at 03:19 min. and the second at 03:40 min. 3. The Ugly Duckling, directed by Jack Cutting, Walt Disney Productions, Los Angeles, 1939. 4. Beauty and the Beast, directed by Gary Trousdale and Kirk Wise, Walt Disney Pictures, Los Angeles, 1991. 5. See Ian Coleman et al., ‘CARTOONS KILL: casualties in animated recreational theater in an objective observational new study of kids’ introduction to loss of life,’ BMJ (16 December 2014): www.bmj.com. 7. The Lion King, directed by Roger Allers and Rob Minkoff, Walt Disney Pictures, Los Angeles, 1994. 8. See www.youtube.com A :'( happens at 02:52 min. 10. The Passion of Joan of Arc, directed by Carl Theodor Dreyer, Société Générale des Films, Paris, 1927–1928. 11. See Gilles Deleuze, Cinema 1: The Movement Image (Paris: Èditions de Minuit, 1983). 12. Threshold is a key term in Brian Massumi’s theories on affect. He uses it to describe the two-way relationship inherent in affect but also a proverbial threshold that, in being affected, one irrevocably steps over. ‘When you affect something, you are opening yourself up to being affected in turn, and in a slightly different way than you might have been the moment before. You have made a transition, however slight. You have stepped over a threshold. Affect is this passing of a threshold, seen from the point of view of the change in capacity.’ Brian Massumi, The Power at the End of the Economy, (Durham: Duke University Press, 2015), 103. 13. A few examples: Pinocchio, a wooden puppet in Pinocchio, directed by Ben Sharpsteen and Hamilton Luske, Walt Disney Pictures, Los Angeles, 1940; Molly Jensen in Ghost, directed by Jerry Zucker, Paramount Pictures, Los Angeles, 1990; Racheal, a humanoid replicant in Blade Runner, directed by Ridley Scott, Warner Brothers, Los Angeles, 1982; and Arwen Undómiel, an elf maiden in Lord of the Rings: The Fellowship of the Ring, directed by Peter Jackson, New Line Cinema, Los Angeles, 2001. 14. Glory, directed by Edward Zwick, TriStar Pictures, Los Angeles, 1989. 16. Armageddon, directed by Michael Bay, Buena Vista Pictures, Los Angeles, 1998. 18. During my research into the :’( the vast majority of examples that I have found have been readily available uploads easily found online, even if I had already seen the images in other formats. 19. Hito Steyerl, ‘In Defence of the Poor Image,’ e-flux journal 10 (November 2009): www.e-flux.com. 20. See secondary filming of the :’( from Glory, 1989, www.youtube.com. 21. See ‘Obama's grandmother dies before U.S. Election Day,’ Xinhua, 3 November 2008, news.xinhuanet.com. 22. For more on emoji as language see Anna Doble, ‘Uk’s fastest growing language is… Emoji,’ BBC Newsbeat, 19 May 2015, www.bbc.co.uk and Alex Clark, ‘Emoji: the first truly global language?,’ Guardian, 31 August 2014, www.theguardian.com. 23. 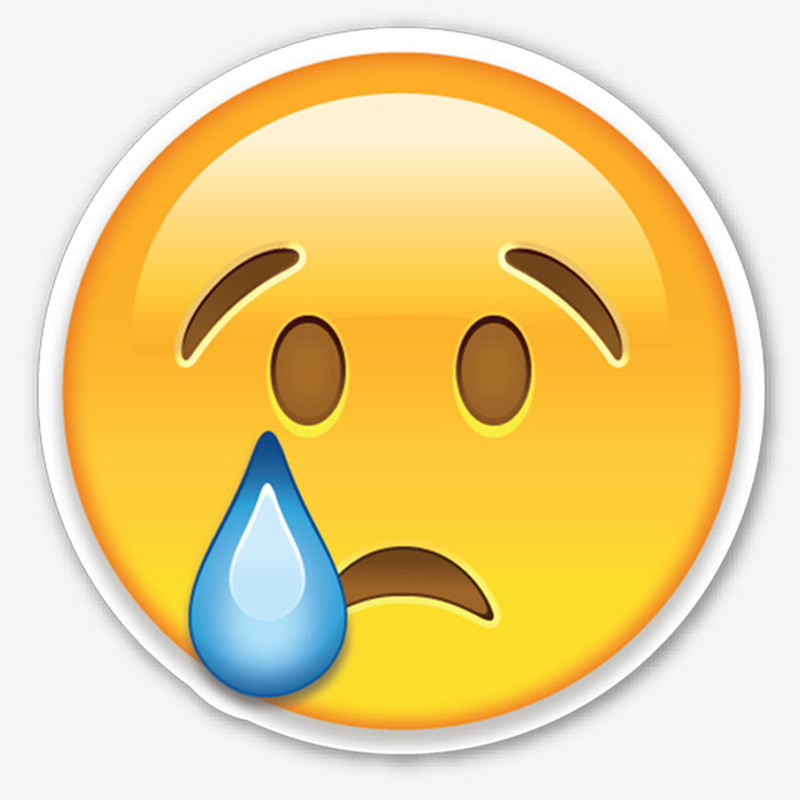 The crying face emoji was approved as part of Unicode 6.0 in 2010. Jammie Nicholas (1987, UK) is an artist, occasional curator and occasional writer. He is currently studying at the Dutch Art Institute (DAI, MFA ArtEZ, Arnhem) and likes the nuances of things. As a partner of the Dutch Art Institute (DAI), Open! undertook a research and design project with an international group of first- and second-year Master of Fine Arts students in the academic year 2014–2015 on the functioning of ‘affect’ in the digital network-and-image culture. Open! considers this subject important because – within the scope of a better comprehension of the workings of mediatization and digitization processes for the public sphere, one of its editorial leitmotifs – an understanding of affect can help us gain greater insight into how the digital environments in which we increasingly find ourselves affect us and influence our actions in the personal, social and political senses. The influential essay ‘The Autonomy of Affect’ (1995) by Canadian philosopher Brian Massumi was the starting point for our investigations. Referring to Baruch Spinoza and Gilles Deleuze / Félix Guattari, Massumi construes affect as “a pre-personal intensity corresponding to the passage from one experiential state of the body to another and implying an augmentation or diminution in that body’s capacity to act.” Affect therefore has to do with a sphere of experience which falls outside the dominant paradigms of representation and with unconscious processes which underlie our behaviour and influence our attitudes towards the world around us. In a series of seminars with guest tutors that included Brian Massumi1, we asked: How is affect being produced and transmitted in today’s digital environments? What sort of role does it play in the networked society in terms of the formation of subjectivity? What about the aesthetics and politics of affect? Can affect be defined as a critical departure point for curatorial and artistic practices? If anything subsequently became clear to us, it was that affect is a complex and hard-to-grasp notion that does not easily lend itself to being used as a theoretical, artistic or activist tool. In itself, the concept is neither good nor bad in the ethical or aesthetical sense, and different disciplines – the neurosciences, social sciences, art-and-media theory – approach and apply it differently, although ‘The Autonomy of Affect’ is a recurring reference point. Initially, the main emphasis of our investigations was on examining how public images (the course at DAI was called ‘Affective Images: How Public Images Produce Affect in a Digital Age’) play a role in affective conversion processes. We understood ‘public images’ to be mediated images that are engaged in public political discourses. These could include amateur images as well as news images and artistic images – ranging from photos of Abu Ghraib to the ISIS videos or images of public art works. We focused on how these images conceal ideological layers and produce affect. 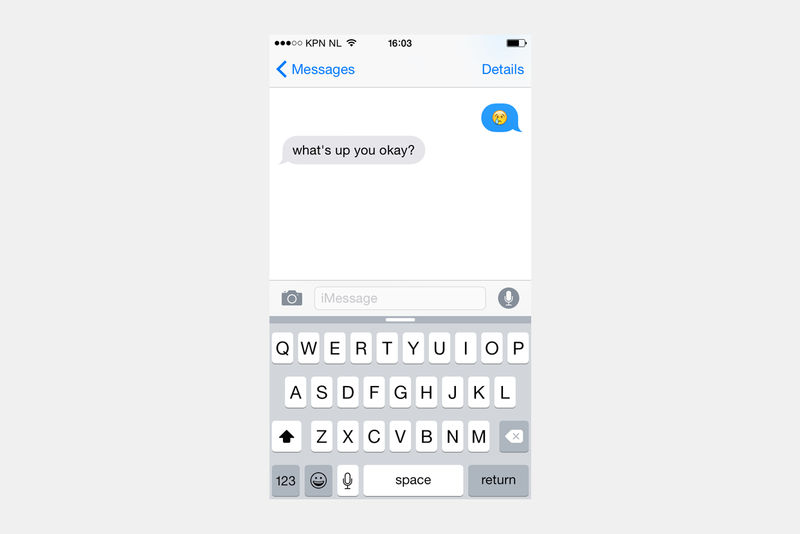 The insights and questions which arose after taking the course led to the organization of ‘did you feel it?’ A Symposium on Digital Interfaces and Their Affect, which will take place in the Designhuis in Eindhoven on 16 September 2015. ‘did you feel it?’ deals with the concern of how affect manifests through technology, by focussing attention on the idea of the interface as a relational space that creates and mediates the affective forces that influence our social, political and artistic encounters. How do interfaces shape, transform and transmit affect? In what ways does the experiencing of affect, mediated through an interface, work upon our daily lives? And how can we as artists, theorists, activists, designers and ‘users’ engage in the zone of aesthetic activity that the interface opens? This symposium is entirely curated by the DAI students.5 The keynote speakers / performers are the theorists Mercedes Bunz, Mark Fisher and Nishant Shah and the artists Veridiana Zurita, Benedict Drew and Erica Scourti. As part of the course, the students also worked on individual contributions about image, interface and affect that in the coming period will be published on Open! in batches. These (visual) essays reflect the students’ different artistic and critical practices and therefore are very diverse in terms of form, content and approach. Together however, and in relation to each other, they provide provocative insights and questions concerning the subject matter. Open! is also publishing a review on Brian Massumi's Politics of Affect by Eric Kluitenberg. Besides, in November 2015 Open! will publish a new interview by Willem van Weelden with Massumi and the video recording of the lecture the latter gave at DAI in Arnhem on 18 June, Virtual Ecology and the Question of Value.